hand stenciled burlap ribbon is great for wrapping and using as garland. 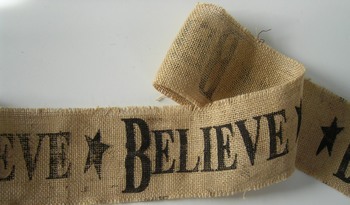 Decorate a tree or wreath with this burlap ribbon with black letters and stars. A generous 6 ft by 4 inches will cover a large area.